watching the barkeeper prepare it with skill and dexterity. They might give you a drop of a selected spirit to try or explain the sophisticated bouquets. They expertly select tumblers and cocktail glasses, always pouring in just the right amount. The performance is rounded off by the decoration of the glasses. It’s a small leap from here to an institution that has been making a splash at Alsterhaus for a while now. Equally skilled barkeepers can be found behind the Platinum Bar. But instead of serving drinks, they bring fascinating fragrances to life. Just like the whisky bottles in a Scotch collector’s cabinet, some forty or so perfumes for him and her are arranged in silver containers on the ground-floor counter, ready to work their magic on visitors. 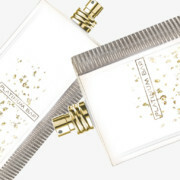 A uniquely direct connection: no slogans or flowery titles attempt to influence customers, with the numbered perfume extracts speaking for themselves.